Dehradun has got the privilege to organise the 4th edition of International Yoga Day celebration to be held on 21st June 2018. The event will highlight the Mass Yoga Demonstration with the presence of PM Modi. 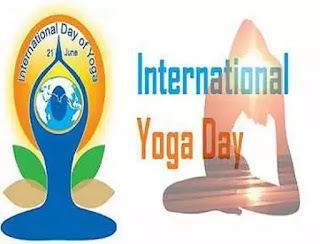 International Day of Yoga is celebrated annually on 21 June since its inception in 2015. An international day for yoga was declared unanimously by the United Nations General Assembly (UNGA). The Ministry of AYUSH made the necessary arrangements in India. 35,985 people, including Narendra Modi and a large number of dignitaries from 84 nations, performed 21 yoga asanas (postures) for 35 minutes at Rajpath in New Delhi. The day devoted to yoga was observed by millions across the world.NCC cadets entered the Limca Book of Records for the "largest yoga performance simultaneously by a single uniformed youth organisation" by performing at multiple venues. Which of the following states will host the 4th International Yoga Day Celebration?